MAPACA: Skyfiber Ranch, LLC is a farm located in Marshall, Virginia owned by Aimée Matheny & Mark Minorik. Top black offspring producer! Champions! At Skyfiber Ranch, we breed for exceptional, healthy huacaya alpacas and work towards refining their fiber characteristics and conformation, so that each generation improves upon the last and continually raises the bar. Our superb foundation females and elite herdsires have given us a truly distinct and outstanding herd, including Futurity champions! We are located about an hour outside of Washington D.C. in Marshall, VA in the heart of Virginia's horse country. We are easy to work with and will support you through each step of your alpaca venture. Whether you're purchasing alpacas for the first time, adding one of our superb foundation females to your herd, or selecting a breeding to one of our champion and trait leading herdsires, we are committed to supporting our clients and providing excellent, ongoing customer care. 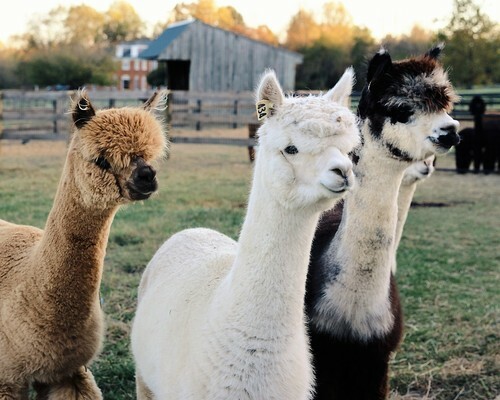 Please contact us with any questions about our alpacas or to schedule your farm visit. We look forward to working with you! More information is available on our website - www.skyfiberranch.com. We offer financing options on most purchases for qualified buyers. Typically, financing is offered at 25% down, with 0% interest for 1 year on purchases over $3,500. The balance is paid in equal monthly payments. Any contracts extending beyond 12 months have an interest rate set at 3.25%. We're flexible and other options may be available. We offer a 10% discount for cash purchases. A standard “contract for purchase” is signed by both parties. 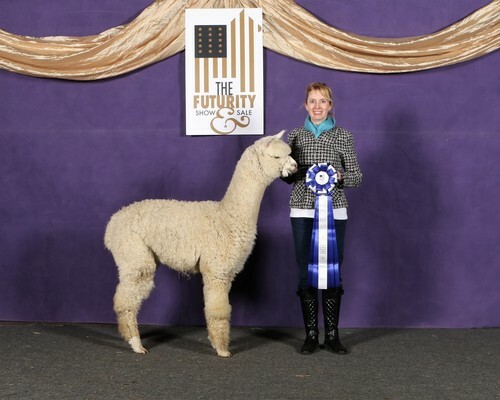 Transfer of ownership with ARI certificate will not occur until the alpaca is paid in full. Free transportation is available within 150 miles of our farm. As a service to our clients, we accept VISA, MasterCard and payments through PayPal. Please contact us with any questions. We look forward to visiting with you! 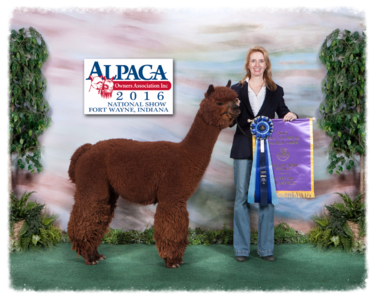 Please take a look at our alpacas and enjoy learning more about the distinct, champion alpacas with outstanding fiber stats we have in our herd. Come check us out and let us work together to find the perfect package deal for you and your budget! We started our venture in 2013 and we're excited to be part of the evolution of the alpaca industry. We welcome your inquiries and questions and look forward to visiting with you soon! 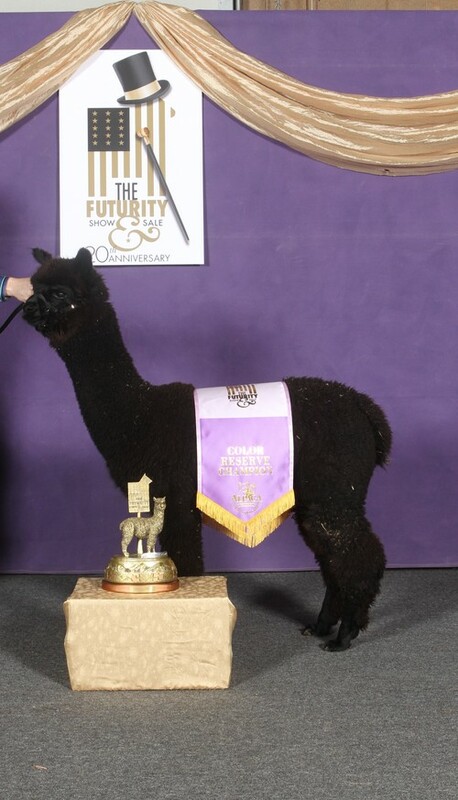 Our gorgeous girl, Skyfiber's Caitriona, won the Reserve Color Championship as a juvie at the 2017 Futurity! Her sire, AVC AJ's Kodiak is available for limited outside breedings. Let this outstanding, proven TB male help your breeding program reach the next level! Contact for more information.